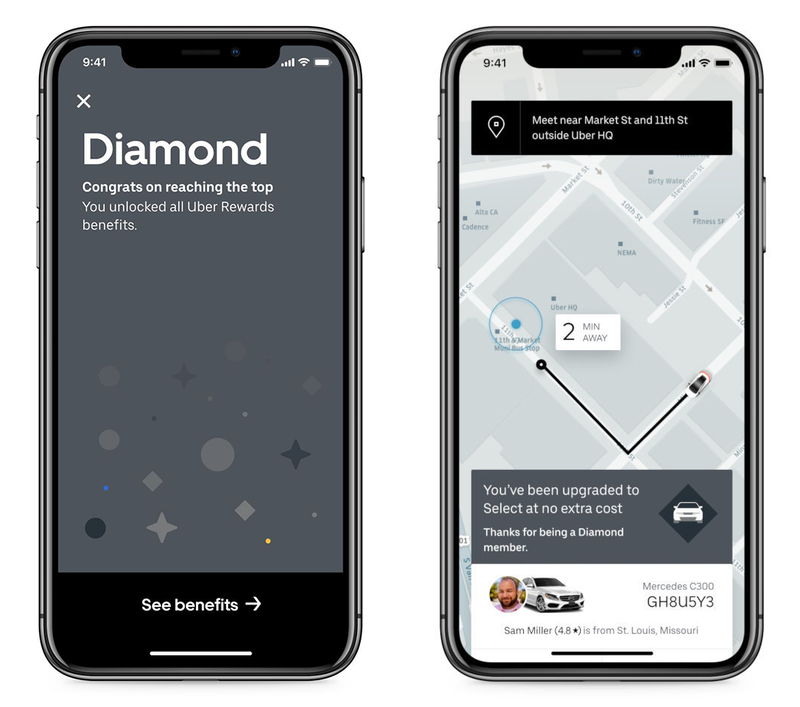 Uber is unveiling a brand new loyalty program, very similar to what we’re used to with airlines & hotels. The program offers up to 3% back on Uber spending and you’ll still be able to earn credit card rewards at the same time. And the program has its own set of elite status tiers and elite perks. This is a nice little benefit for folks who are riding with Uber anyway. Here is everything you need to know to get started. With Uber’s new loyalty program now announced, folks can start earning up to 3% back toward future rides with rewards. Those who use Uber enough to hit elite status levels can even score free upgrades to Uber Black or Uber SUVs. These are working as a test market for Uber before they roll it out everywhere. If your account’s primary location is within these areas then you can sign up today for Uber Rewards. However, Uber says that they plan to make Uber Rewards available to the entire US over the coming few months. You can sign-up for the waiting list now and enroll as soon as Uber Rewards is made available in your area. And all money spent in the 6 months PRIOR to enrolling in Uber Rewards will count toward elite status when you sign-up! Earning points from Uber Rewards is pretty straightforward. Folks will earn either 1, 2, or 3 points per $1 they spend on Uber rides. How much you earn will depend on which Uber service you are using. Each points is worth 1 cent in Uber credit. You will earn these rewards from every ride automatically and you can check your balance at any time. Uber also plans to announce rewards for its bikes and scooter rentals soon. But there is no word yet as to which category these will fall into. The rewards you earn will be based on the level of elite status you achieve. Each tier is based on a 6-month qualifying period, instead of the standard 12-month qualifying period from basically every airline and hotel on earth. Each user’s qualifying period will be based off the day they sign-up for Uber Rewards. When you reach an elite status tier, you will maintain that level of status for the remainder of the current qualifying period plus for the entire next 6 month qualifying period. 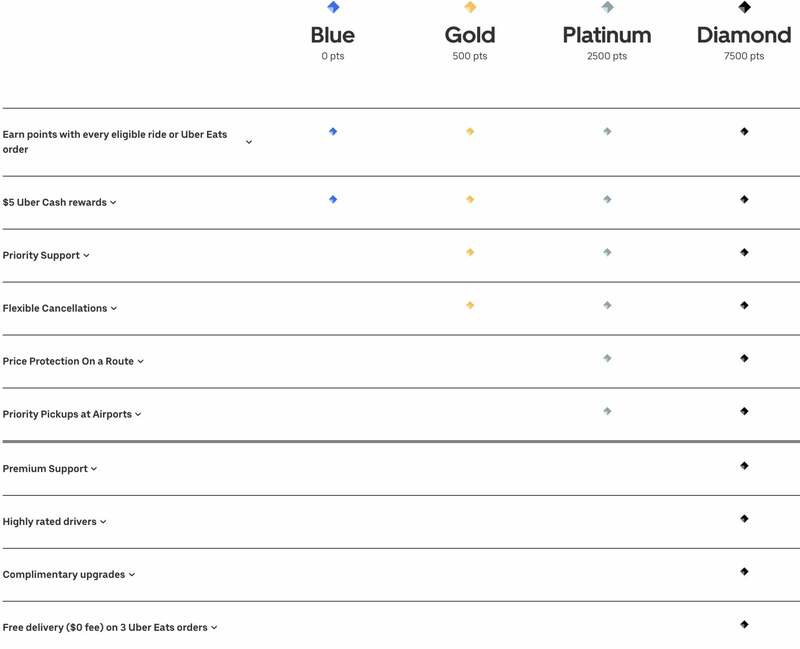 Blue status is the base membership tier for Uber Rewards. Folks can earn points and redeem them for an Uber credit. Every 500 points you collect will earn you a $5 credit toward future Uber purchases. These points can carry over from previous qualifying periods. So this tier is for folks earning less than 500 points per 6 months. Folks who earn 500+ points within a 6 month period will be elevated to gold status. This tier continues to offer you a $5 credit for every 500 points you earn but adds on flexible cancelations and priority support. Flexible cancellations will allow you to get the $5 cancellation fee refunded if you request another ride within 15 minutes. Gold elite status will also get you priority customer support. Of course, any combination of these services will also work. This level of status is easily attainable even for casual Uber users. Averaging 1 to 4 rides per month could be enough to maintain this level of elite status. Folks that can earn 2,500 points within a 6 month period will be elevated to Platinum elite status. In addition to benefits earned by the Gold members (flexible cancellations and priority support), Platinum elite status members will also earn price protection between their 2 favorite places and priority pickup at airports. I really like the price protection since it allows you to choose a route you frequently ride and lock in a set price (no surge pricing). For many people, this might be between home and work or maybe home and your favorite coffee shop. You can change these locations a maximum of once every 6 months. For example, in Seattle, I frequently have to take an Uber between a downtown co-working location and the ferry terminal. The price of this can change dramatically based on if there is a Seahawks or Mariners game or other downtown events going on. Locking in the price could substantially help me save money in these situations. This would also be an awesome feature for folks who travel frequently to select their home and airport, for easy and predictable rides to/from the airport. This is going to be a stretch for most folks unless they rely on Uber 3 to 5 times a week or they opt for premium services. Finally, Uber’s most elite status is Diamond. This requires 7,500+ points per 6 months. This means you would likely need to be using Uber multiple times per day. The biggest bonus here is you can earn complimentary upgrades to Uber’s premium classes. We still don’t know how this works yet but it appears it will upgrade you to a premium car when one is closer. 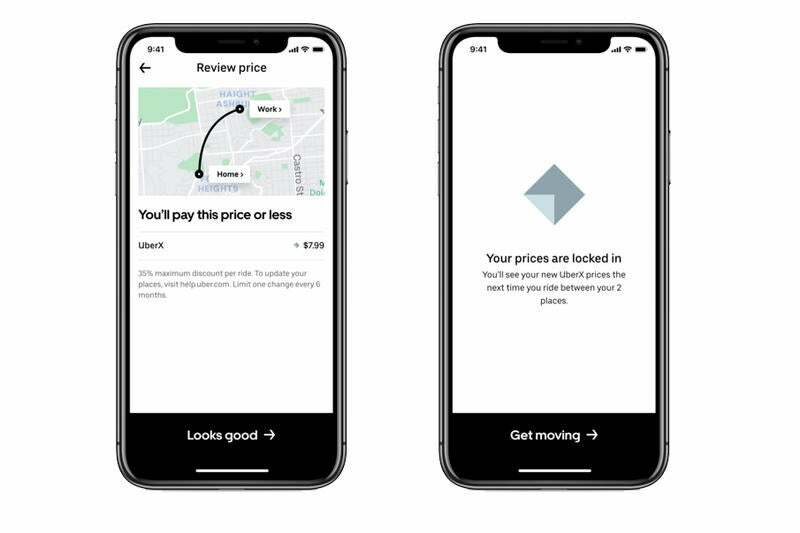 Uber called it “surprise upgrades” in their announcement. Folks can also enjoy 3 UberEats orders that have their delivery fee waived (per 6 months), which is great if you use that service often. This tier is designed for folks who have ditched car ownership in favor of ridesharing or business travelers who often expense their trips. All of these bonus rewards are earned regardless of how you choose to pay for your rides. But using the right credit card will ensure you earn even more points because you can still earn credit card rewards on top of your Uber Rewards for even more savings. The Platinum Card® from American Express: Get up to $200 annual Uber credit and 1X Membership Rewards point per $1 spent on Uber purchases. Terms apply. Using one of these cards will let you earn travel rewards, while also earning rewards directly on Uber. These stackable rewards can easily earn you more than a 5% return on Uber purchases between both Uber Rewards and your credit card’s reward program. Uber has announced Uber Rewards, a way to earn money back on all Uber expenses. Plus, riders can earn additional benefits exclusive to Uber’s loyal riders through elite status tiers. 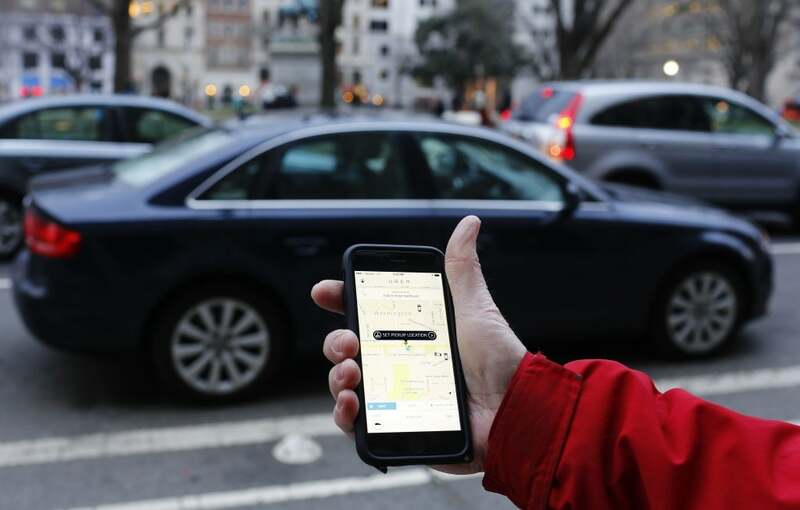 Riders can earn between 1 to 3 points per $1 spent on Uber depending on the Uber service they use. These rewards can be redeemed for a $5 Uber credit once a rider has accumulated 500 points. In addition, riders who earn 500+ points within a 6 month qualifying period can reach elite status with Uber. There are 4 tiers of elite status which offers perks such as price protection, flexible cancellations, and complimentary upgrades depending on the elite status tier earned. Are you excited to try out Uber’s new rewards program?